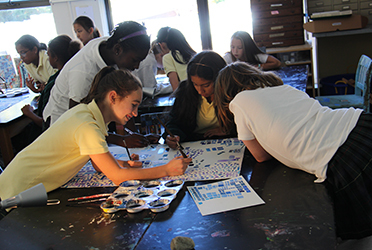 Greenwich Academy strongly encourages its students to pursue their interests in the visual arts and performing arts. While the visual and performing arts programs have always been popular, the Wallace Performing Arts Center, opened in the spring of 1998, offers incredible opportunities for students to explore and develop their interests and abilities. Participation in the arts encourages students to react to, record and share impressions of the world. 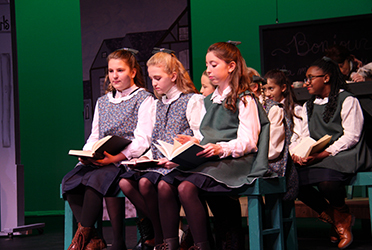 The goal of the Arts Department is to enable students to experience, understand and enjoy the visual and performing arts, including studio art, dance, music, speech and theater. The program encourages individual creative expression, the development of specific skills in each area, communication with the public through exhibitions and performances and appreciation of all art forms. Teachers from each discipline work collaboratively whenever possible. Courses provide a recognition of the role of the arts in history and in the contemporary world.